Stella Maris Academy | End of the Year Party! End of the Year Party! We hope you can join us next Monday, June 5th from 5:30-7:30 for our end of the year bash! Come dance with our DJ, play carnival games, eat some food, and enter into raffles to take home a prize. Best of all, come hang out with all your friends as the school year winds down! To make this celebration a success, we are asking parents to bring a dish to share. Pizza will be provided. 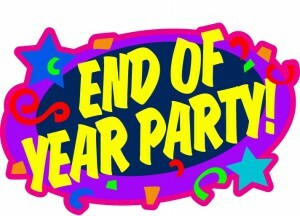 8th grade – if you come celebrate, bring some popcorn! !